No end to Jet Airways' free fall: Will the airline go Kingfisher's way? India's domestic air passenger traffic grew by 11.03 per cent to 11.64 million in November, official data showed on Friday. As per the data furnished by Directorate General of Civil Aviation (DGCA), the November 2018 figure is up from 10.48 million reported during the corresponding month of 2017. In addition, the data also showed that passenger traffic during the January-November 2018 period grew by 19.21 per cent. "Passengers carried by domestic airlines during January-November 2018 were 126.2 million as against 105.93 million during the corresponding period of previous year, thereby registering a growth of 19.21 per cent," the DGCA said in its monthly domestic traffic report. 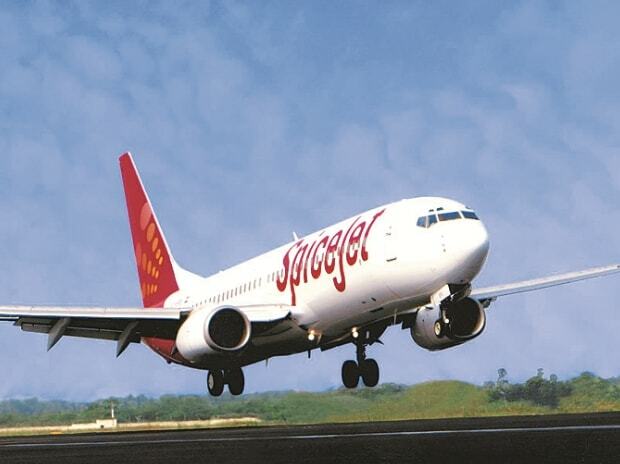 The data disclosed that low-cost carrier SpiceJet had the highest passenger load factor (PLF) -- a measure of capacity utilisation of the airline -- at 91.1 per cent during November. SpiceJet was followed by GoAir with a PLF of 87.6 per cent, AirAsia India at 86.5 per cent and IndiGo at 84.9 per cent. "The passenger load factor in the month of November 2018 is almost equal compared to previous month primarily due to the ongoing tourist season," the monthly statistical analysis statement said. The data noted that GoAir led the industry with 87 per cent punctuality rate (on-time performance) at the four major airports of Bengaluru, New Delhi, Hyderabad and Mumbai. It was followed by Vistara (86.1) and IndiGo (79.2). Besides, the overall cancellation rate of scheduled domestic airlines for November stood at 0.87 per cent. In addition, a total of 786 passenger-related complaints were received last month. IndiGo led the industry with the highest market share of 43 per cent, followed by Jet Airways (12.8), SpiceJet (12.5), Air India (12.2) and GoAir (8.8). AirAsia India had a market share of 5.3 per cent, followed by Vistara (3.6), JetLite (1.5) and Trujet (0.5). "The year-on-year growth of 19.21 per cent in November shows a continuous positive momentum in the domestic air market driven due to the ongoing tourist season," said Aloke Bajpai, CEO and Co-founder, ixigo. "Fall in oil prices and holiday sales by airlines will ensure stable air fares and will continue to shoulder the passenger traffic growth in December."